But how do you even go about shooting street style in a place that is considered hectic, manic, and always running late? 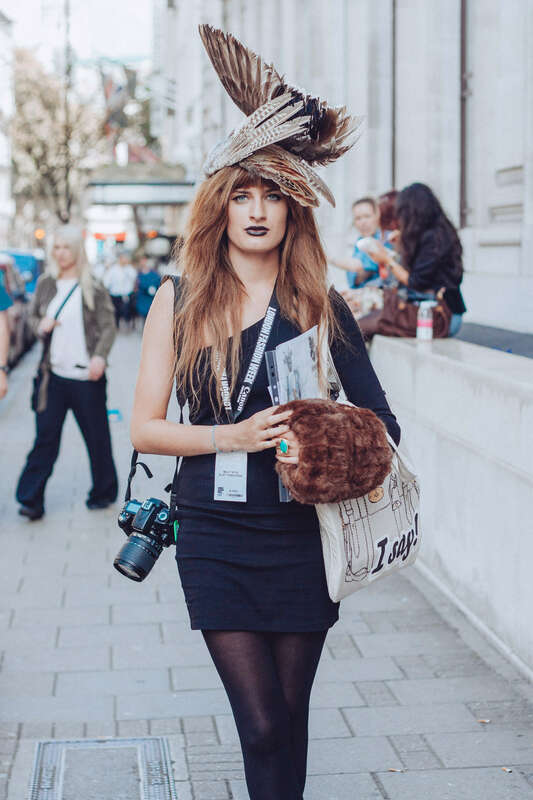 I am going to part ways with my knowledge about shooting street style and London Fashion Week just for you. First off is the kit you will need with you! I always carry my laptop around London Fashion Week as some clients essentially want images in ‘real time’. Normally within 30 minutes so it gives me time to do a quick edit and send it over. My camera gets packed and I always stick with a 50mm lens. Some people use a 70-200mm lens and this gives them a bit more of a candid ‘fly on the wall’ look to their street style photographs. I am not fond of this as I would rather ask the person I am choosing to photograph for their permission. Not everybody actually wants to be photographed. But this is just my personal preference. You still can go out and use a 70-200mm lens and get some more candid style street shots. 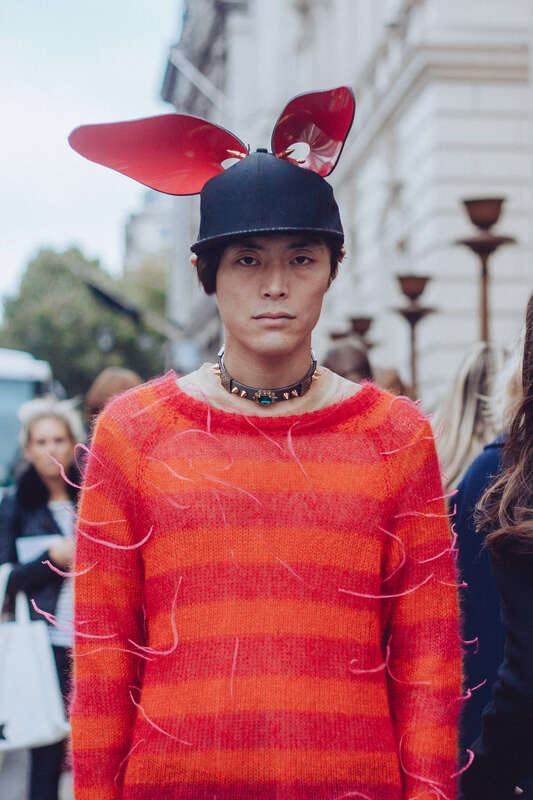 That worked really well for Tommy Ton and now he is seen as an iconic street style photographer and he mixes it up with both candid style and shots he has asked permission for. Because my style is very much “ask permission” I stick with my 50mm for nicer portraits. But you can still be candid with it and shoot through heavy crowds of people, the low aperture to a 50mm helps pinpoint one person out of a crowd. All of this gets carried in a heavy duty protective backpack but one that can still also be considered fashionable because it is fashion week after all. 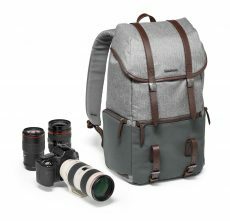 The Manfrotto Windsor backpack is perfect for this as it is pretty, but also super practical and keeps all of my gear safe. London Fashion Week always has a ‘hub’ that it operates from. This can be found out very easily on the London Fashion Week website every season. 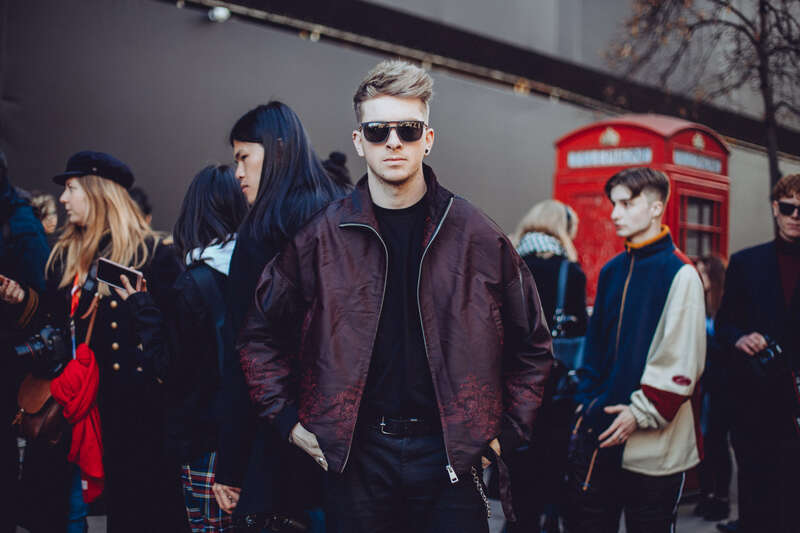 It does not mean you will get access to shows, but you will know the space that a lot of shows will happen at which of course means you will get a constant flow of street style opportunities! You can even look up the schedule online to see what would be prime times to head to this ‘hub’. The best is always before and after a show. More so after. But please note, some people are extremely busy so you really do have to be quick with the shot! I always recommend to hand hold your camera and to also be quick on your feet and forever vigilant. Some of the big names are literally in and out so quickly and escorted by security so you have to be pretty sneaky and candid with your street style shots of people like Alexa Chung. 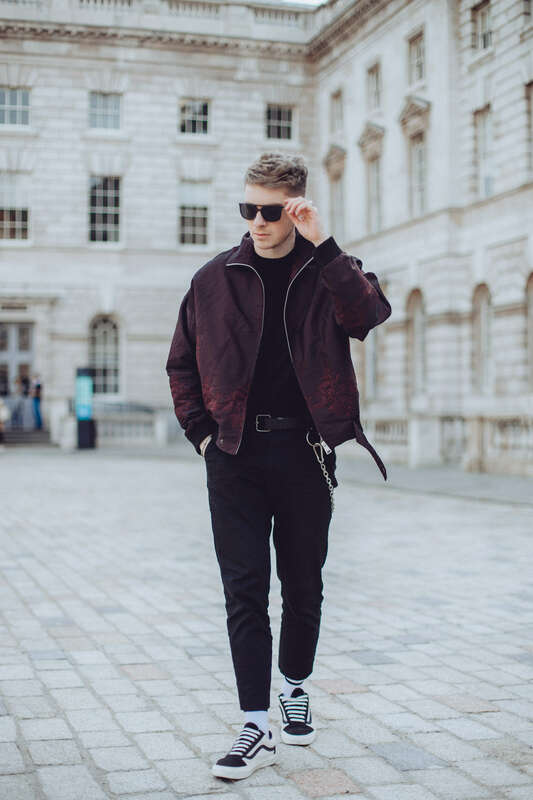 A lot of bloggers and influencers attend London Fashion Week and these are the guys whom are easier to photograph as they are approachable and put themselves out on social media so are always OK with shots of them being taken also. If you see a lot of photographers around one person, or forming a crowd to snap one person then go and join them! It normally means it is either somebody very interesting or somebody who is quite well known and you don’t want to miss out on the shot of somebody potentially iconic! The same applies for vice versa as if you start shooting somebody then a huge crowd will probably follow suit and do the same. Just let it happen but don’t let them push you about and you can tell them to politely move until you are finished. I have had it happen so many times where I have asked somebody for permission to photograph them and so I start shooting and others follow suit behind me and try and get in front of me. I politely tell them to stop and that I hadn’t finished and they can speak to the person I am shooting once I am done. Don’t want to get involved in a crowd of people? Shoot from afar. OK so you don’t have the subjects permission, but they have 20 other photographers in front of them so photos are clearly OK. Be a bit more candid and shoot freely whilst they pose for other people. It’ll give your images a different viewpoint and definitely seem more fly on the wall about the whole situation. If you have the subjects permission for some photos and you want to have a bit of a less stressful situation to shoot in, ask them if they don’t mind finding a quieter spot nearby to take some shots in. Again some people are quite OK with that and it gives you freedom to be a bit more creative and different with your shots also whilst being all about them and their outfit. 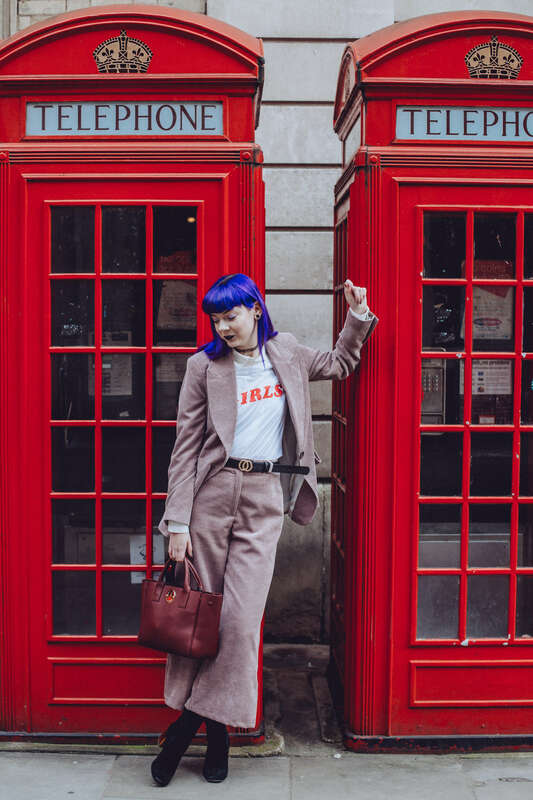 I like to mix it up and shoot in a variety of crops and get at least one good full outfit shot, one waist high shot, and any detail shots in case they have something interesting like jewellery, particular makeup, or a really interesting bag. I never walk far from where I originally encountered them also in case they need to be back in that area for another show. So finding a spot is where you need to be quick on your feet and be comfortable making any location work for you! I will only really ever take a subject around a corner, or down a different side street and make something work with whatever I come across whether it be an interesting shop front or iconic London red phone boxes. of your subject’s time, but you also don’t need to take hundreds and hundreds of images as one image would only ever get used anywhere. It helps cut down on editing time for you also, especially when my editing time has such a tight time constraint. Once you think you have one good full body shot, go on to a tighter portrait, then a head shot, and end on outfit details. That’s what I do anyway. Because it is London, what do you do when the weather is rubbish? Which can happen. I mean fashion week happens every February and September. New York is prone to snow in February, we in the UK are prone to rain in February and September. There is normally some kind of press lounge areas/work space areas that can be taken advantage of if your subject has access to these places and you can then do some street style, but inside, and it is still fashion week related. I still consider it as street style as you are still documenting somebodies fashion week outfit in a fashion week related space. 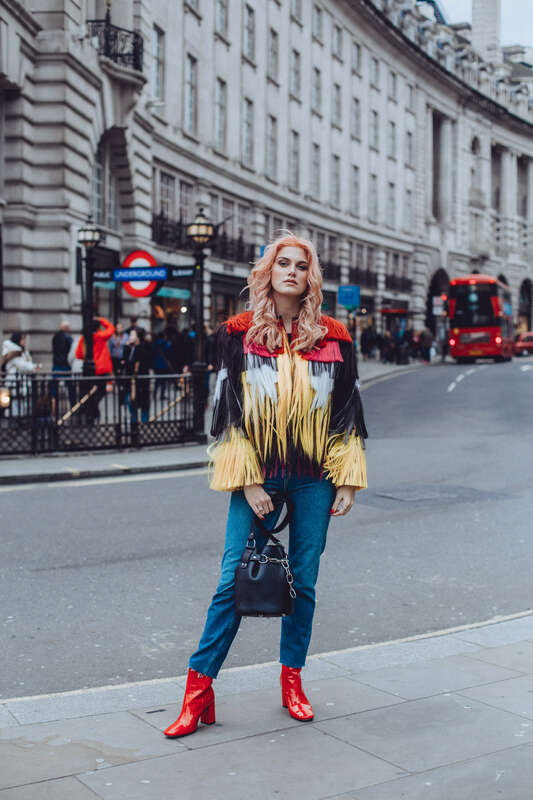 I now work with a lot of bloggers and influencers on their fashion week outfit street style content and a lot of them hire me on a monthly basis to get their street style content. 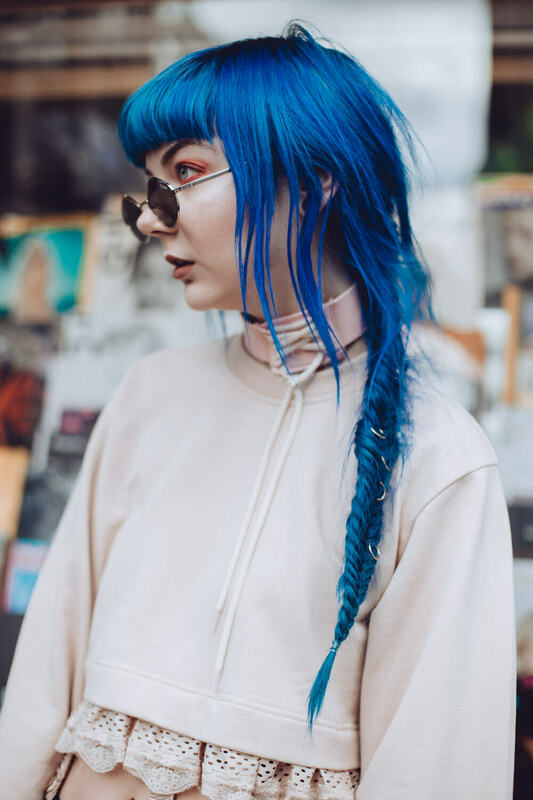 Fashion Week is definitely a more stressful time to capture street style but it can also be so rewarding as you come across so many characters (just google Pandemonia). You just need to learn to adapt, be vigilant, always move, and to be quick. 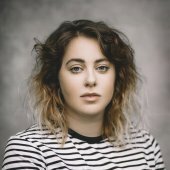 Utilise the natural light or raise your ISO if there is no light and use a low aperture to make sure your subject is the only one in focus, you don’t want a whole crowd of people to be in focus and the image to fall flat as nobody knows who your subject is meant to be in the photograph. There are no rules as to whether you shoot in portrait or landscape orientation and the main rule I will tell you is to ultimately have fun shooting people and portraits!